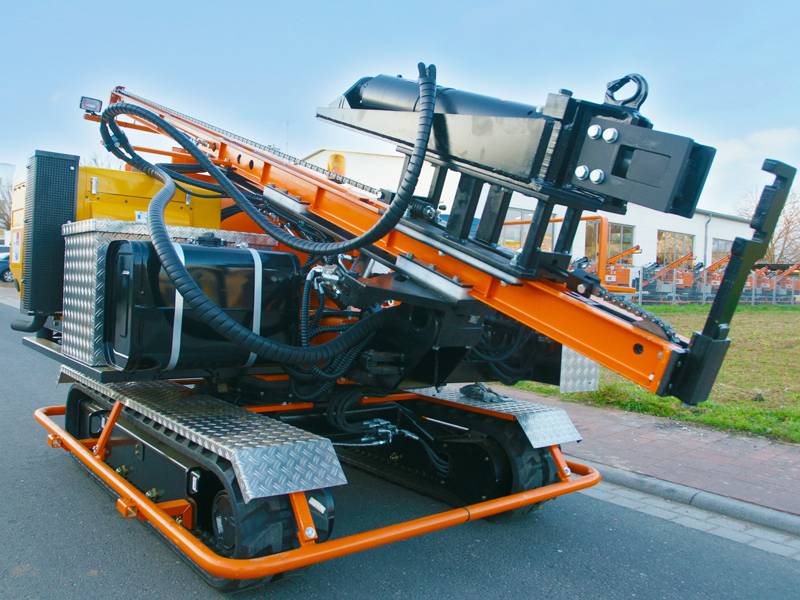 The fully hydraulic ram HRE is based on a solid tracked truck with live ring and rubber chains. The drive is a Hatz two or three-cylinder Diesel engine which has proven itself in many construction machines. As we attach great importance to stability, it is also possible to extract posts and drill holes for shells. The modification equipment for extraction consists of two drawbars, ram block, and clamping tongs retainer with clamping tongs. The modification time is approx. 15 min. After that, 1 person is able to extract posts quickly, safely, and without any problems without using a truck crane and post extractor. With a feed of 1.9 m from the front edge chain to the centre of hammer and a useful height of 3,2m - 4,2m even big posts can be rammed. Due to replaceable and readjustable bronze slide rails in all mobile parts such as e.g. 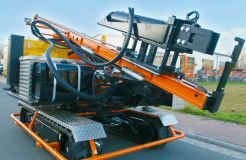 slide chariot and feed pipe as well as solid hydraulic valves “MADE IN GERMANY“ especially designed for construction machinery a long service life is ensured. 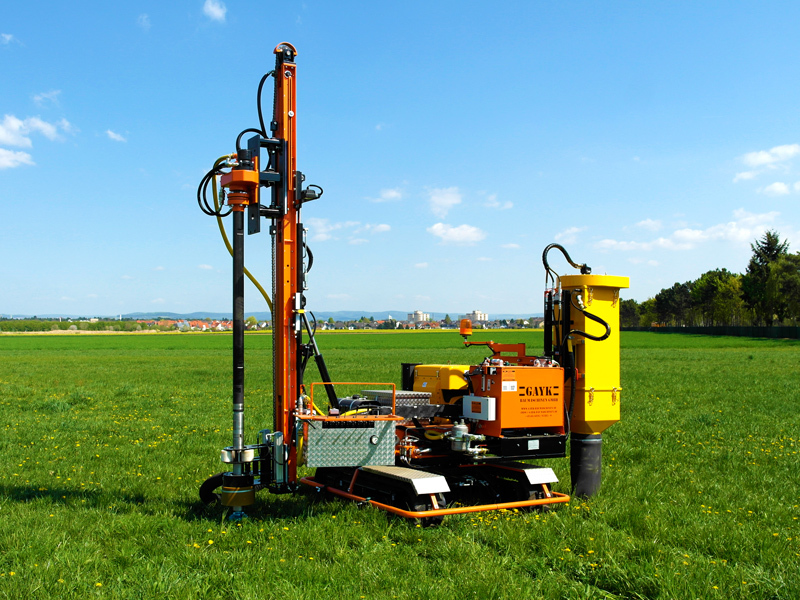 Equipped with an optimal turn drive unit and downhole hammer, the machine can be modified into a drilling truck within a short time for drilling shells at crossings and for pile-driving. Due to the chain pressure mount, the hammer will be pushed onto the post at a preset pressure with a small hammer weight of the hammer. Therefore the ramming time is much shorter. In order to achieve an even ramming depth, the HRE has been equipped with an electric cutoff. 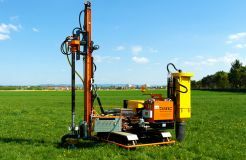 It switches off the rammer and chain feed automatically with the required ramming depth. The big switch cabinet includes all fuses and relays as well as enough room for the connection of other consumers. In order to minimise downtimes, only screwings and hoses of best possible quality have been chosen. If nevertheless a hose is defective, it may be procured at any hydraulic point of support immediately. file_downloadHere you can download product brochures and technical data pages.